Archaeological and documentary evidence confirm that the Canarian aboriginals practiced fishing and the sea was to them an important food resource. 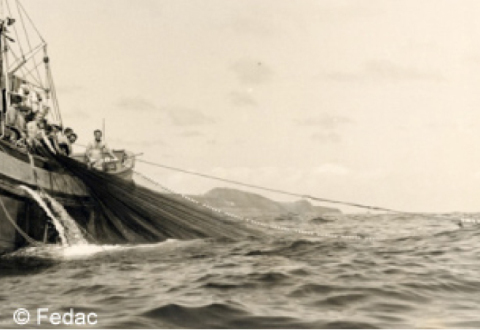 In the last decades, fisheries in the Canaries have undergone profound changes. The economic model in the islands, focused on the tourism industry, besides the alterations in the world markets and the introduction of new technologies in the sector have affected particularly the fishing sector. This touristic industry (building of coast hotels, marinas, nautical leisure facilities…) is now in competition with traditional fishermen, who have had no option but changing their fishing strategies, grounds, moorings and sometimes even their dwellings. However, the fiercest crisis in the fishing sector in the Canaries was created by the conflict over the Saharan fishing grounds. The international legislation on Exclusive Economic Zones (EEZ) applied left these waters under the rule of Morocco. 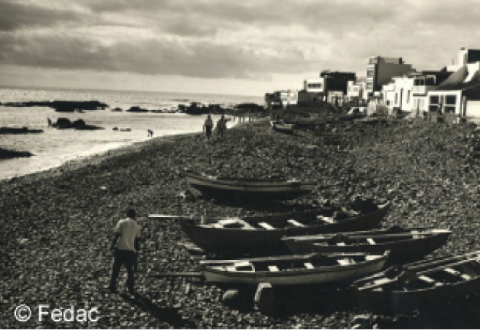 Canarian fishermen had been working in these waters since the 16th century (Rumeu de Armas, 1956, 1977), when the population in such coasts did not carried out fishing activities. Ship-owners and captains approached the Canaries from mainland Spain to hire costeros –that was how Canarian fishermen were dubbed- as crew members as these had a widely recognized reputation for skillful and brave. In November 1999 the whole Spanish fleet refrained from working at the Moroccan fishing grounds, when over 70% of the fisheries gross added value in the Canaries arose from the catches made by the vessels working in the area (Macías González; Pascual Fernández et al., 2000). The new way to regulate sovereignty over those waters, regardless of any historical fact, left the traditional users of those resources, Canarian and Andalusian fishermen, totally banned from its exploitation. This had a sound impact on the sector, not addressed until a new treaty was signed in 2007, when some of the few vessels still operating were granted licences. 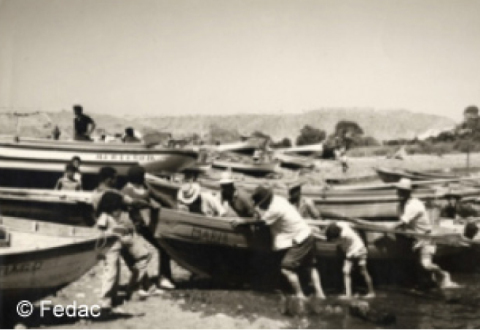 The features inherent to the fishing activities (hard working conditions, long stays away from home, long working days, lack of habitability in the vessels, etc) made many fishermen find other activities to commit themselves to between the 1970s and 2008. These years of boom in the touristic sector (building, hospitality…) provided new job opportunities to seamen, so many vessels and fishermen quit the fisheries industry. Maybe it is the direct or indirect impact of the tourism industry what is altering the fishing areas in the Canaries, especially when it comes to the southern and Las Calmas spots (Pascual Fernández; Santana Talavera et al., 2001; Santana Talavera, 1990a, 1990b). Firstly, there was a physical invasion, as the touristic resorts and residential areas have occupied a good deal of what were the best coves and beaches, and precisely the areas where fishermen had dwelled prior to such events. Secondly, the joint venture tourism-building made out new opportunities for thriving, rising the average salaries and seizing the workforce that used to make a living out of the primary sector, and more specifically, of fisheries. 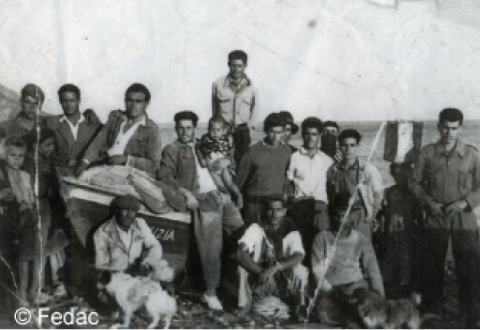 Today, the difficulties attached to the economic crisis have made many of those fishermen return to their work in the sea, now with their offspring alongside with them.